Perhaps one of the most recognizable diamond watch brands on the market, Joe Rodeo caters to those who love to show off their wealth and status with wild aplomb. Many of their watches feature 44mm+ cases, which not only has an inherently bold and eye-catching style, but also allows for more space to be iced out with genuine diamonds. Joe Rodeo Watches generally range from $500-$10,000, so there’s no question that the diamond-studded lifestyle is accessible to everyone. Here’s an example of a Joe Rodeo “mid-ranged” timepiece called the Joe Rodeo Trooper ( 963329 at ItsHot.com). The case is larger than most conventional watches – 47mm! Some companies use plated brass to reduce costs, but Joe Rodeo only uses solid stainless steel. 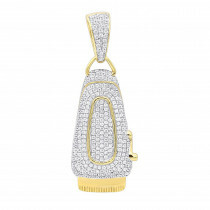 The bezel has 2 rows of genuine diamonds with brilliant clarity enhanced by highly polished steel. The diamonds continue on into the outer dial with the smallest ones filling in the marker ring! Move out from the case and you will see that even the bracelet is iced out! 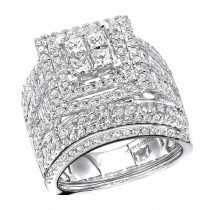 The total carat weight of the diamonds on this timepiece: 14.5ctw. That’s insane! As you are well aware, appearance isn’t everything; functionality plays an important role in deciding which timepiece to buy and own. Joe Rodeo did not hold back at all! This watch is equipped with a Swiss quartz movement with chronograph complications – one sub-dial is dedicated to 10ths of a second measurement when you use the start/stop chronograph function! 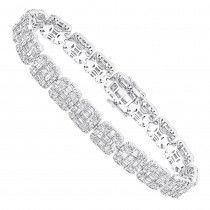 Size, weight, diamonds, and movement, this watch has it all! They even went all out with the packaging materials: an entire booklet of instruction manual for every one of their movements in several different languages, a warranty card, cleaning cloth, and a pair of extra joe rodeo leather straps with quick release pins that you can easily change out by yourself. Overall Joe Rodeo knows how to make a solid timepiece. Their market is wide, but the quality of the watches remain consistently good, regardless of whether you pick up a $500 Joe Rodeo or a $10,000 one. Also they’re not just for men! Joe Rodeo has a very extensive line for women as well! 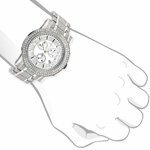 If you’re looking for a flashy diamond watch to add to your collection, this brand is definitely the way to go…just be prepared for all the compliments you’ll be receiving. Other popular Joe Rodeo watch models include Joe Rodeo 2000 watches, oversized men's watches Joe Rodeo Junior watches, modern looking Joe Rodeo Master Watches for men and women, intricate Joe Rodeo Chelsea and Joe Rodeo Madison watches, and many other models. 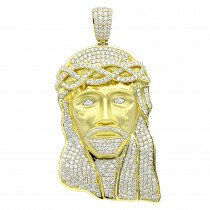 View full collection of Joe Rodeo diamond watches here. 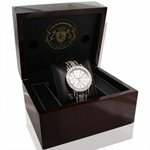 ItsHot.com is an authorized Joe Rodeo dealer, so all watches are guaranteed to be brand new and come with full Joe Rodeo warranty. We carry a full line of Joe Rodeo watches, and as any other item on our website, we list them at guaranteed lowest prices with our 110% best buy guarantee. 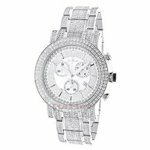 These watches are some of the most popular diamond watches we sell, and because of their great look, quality and selection, Joe Rodeo is our recommended brand of a diamond watch if your budget is in $600 to $6,000 range. 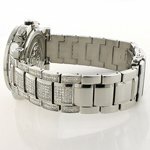 To view the collection of Joe Rodeo Watches and to find your favorite one click here now.